In spite of the origin of the department of Master of Computer Applications (MCA) in the academic year 2005-06, the actual enrolments were made in the academic year 2006-07 and the deportment shows its consistency in maintaining its intake of 60. The department derives its pride in stating that its first batch students got recruited in the top MNCs like M/S Satyam Computers, Infosys in Hyderabad even before the completion of their course process, when they were in their IV semester. The department humbly attributes its success to the sincere efforts zeroed in by the students in collaboration with the resourcefulness of the faculty. The department regularly conducts classes on personality development, communication skills and provides a regular revision of the past classes. Mock interviews are arranged as a part of their preparation for imminent interviews, on and off campus, after a meticulously planned training on recruitment processes of the eminent multinational companies. The department takes pride in exhibiting a well furnished computer laboratory that could cater to the needs of all PG students. 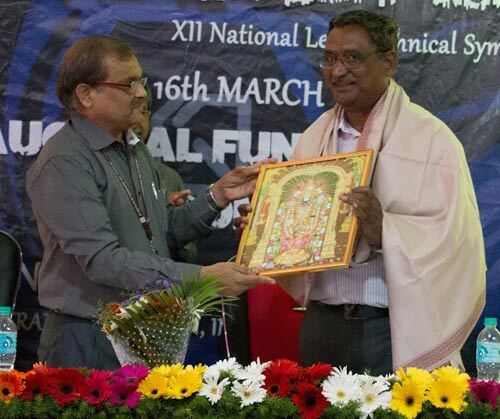 To nurture excellence in the field of Computer Application by imparting timeless core values to the learners and to mould the Department of Master of Computer Application into a center of academic excellence and advanced research. • To impart high Quality Technical & Professional education with the state of art of Infrastructure, laboratories, curriculum and innovative teaching in order to acquire academic excellence. • To associate with world class R&D organizations and premier technical Institutes of India and overseas for advanced research and consultancy practices. To encourage the students to participate in social responsibility programmes. The Department has high-end latest computer systems, Upgraded software's and Exclusive lab for each subject with 1 to 1 ratio. The Department has high-end latest computer systems, Upgraded software and Exclusive lab for each subject with 1 to 1 ratio. Common browsing internet facility available in the Lab, in order to enable the students to do good quality projects. The Department Library is well stocked with books, journals. It also contains subject wise question banks for student references. Students Chapter of Computer Society of India. 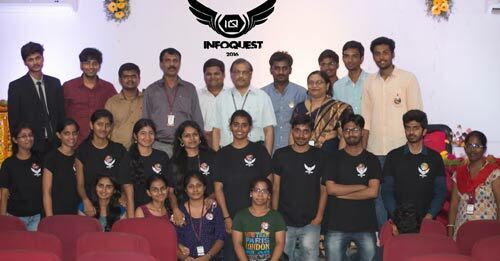 MCA students participated in “Project EXPO “ in Technical Symposium INFOQUEST which was organized on 20th and 21th March 2018. MCA Department of JBIET organized 2 days Programme "TECHNO TRENDZ" & Workshop on the topic "IoT & Cloud Computing on 14th & 15th December 2017. Dr. Sumagna Patnaik (Dean P.G. 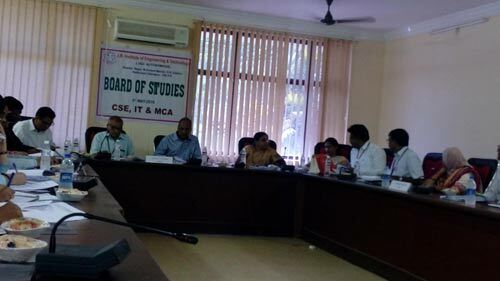 Studies) has attended a Workshop on edX Blended Model Implementation –A collaboration with MIT and Government of Andhra Pradesh organized by BITS Pilani, Hyderabad Campus on 23rd December 2013. Mr.Y.V. 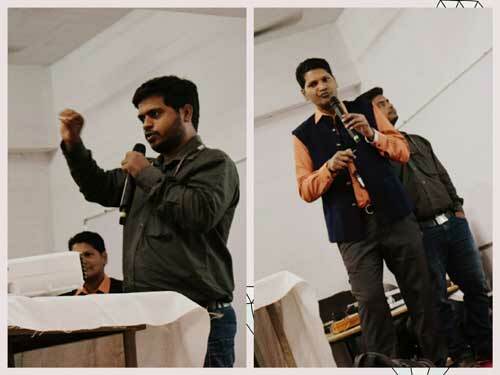 Satish attended a National Seminar on organized by Patiyala University, Punjab. 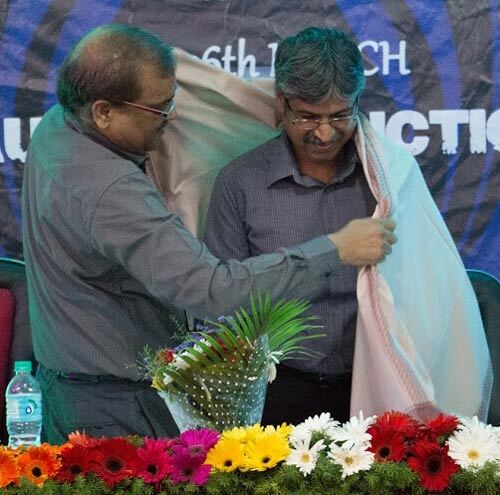 Ms. Y. Harika and Ms. D. Sowmya attended an International Conference on “ Ethical Hacking” on 7th and 8th March, 2013 organized by School of Inoformation and Technology, JNTUH in association with C-DAC Hyderabad. S. Govind & G. Nagendra Prasad have attended and successfully completed their training on Certificate in Information Technology (CIT) at EnhanceEdu@ International Institute of Information Technology - Hyderabad (IIIT-H in collaboration with the Ministry of Communications and Information Technology (MCIT),2010. 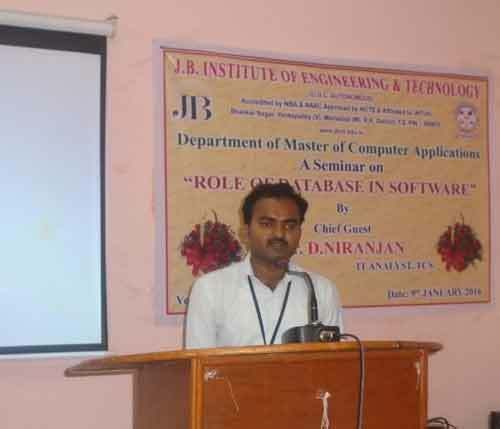 CIT(Certificate in Information Technology) Orientation Programme Conducted by Enhance Edu on 27th Oct 2010 in M.N.R.Auditorium.JBIET. Faculty Development Programme on Quality Improvement organized in JBIET in collaboration with NITTTR Ministry of HRD, Govt. of India, Nov-DEC 2009. 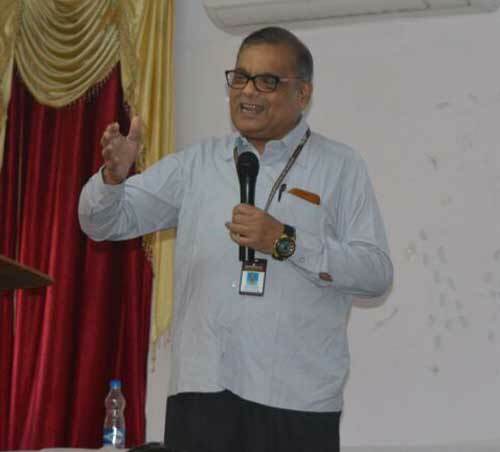 A seminar on “Personality Development” for faculty by Dr. V.V. Rao, Principal JBIET 2009. IEEE workshop on Current Trends in Software and Systems conducted by University of Hyderabad, 2004. Institute-Industry Interface: organized by BHEL, HRD,Rcpuram, Hyderabad. A 2 days’ workshop on "Linux, Unix-shell scripting"
Mr. Raj Vallabaneni,CTO, Rofous Software Pvt Ltd.
Mr. Rajesh Pershad, Assoc Prof., MBA Dept. 10671F0042 S.Madhavi Techgen Private Ltd.
MCA department organized Online test MCA students for campus recruitment training on 12th April 2017. MCA students participated in the workshop on Embedded System & IOT(Internet of Things)conducted by ISM University on 15th April 2017. 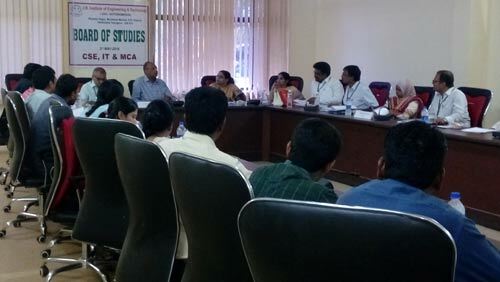 MCA students participated in guest lecture on “ BIG DATA ANALYTICS” by Dr. Dakshinamurthy V Kolluru ,President, International School of Engineering Mentor & Advisor in Data Science for multiple start-ups on 6th December,2014 in MIC Lab, JBIET. MCA students participated in 2 days Seminar Industry Institute Interaction on “Total Quality Management” on 28th and 29th November 2014 organized by MBA Department, JBIET. MCA students participated in Group Discussion organized by Mr. Rajesh Pershad in MCA department JBIET. MCA 1st year students participated in 2 days workshop on How to create desired future in IT by TITA, Telangana YUVA NIRMAN in collaboration with JNTUH on 19/09/2014 & 20/09/2014 at JNTUH Auditorium. MCA 2nd year students participated in Analytical Skill Training Programme by Mr. Anil Nair organized by Training & Placement Cell, JBIET from 12/09/2014 to 17/09/2014 in JBIET Auditorium. MCA 2nd year students participated in one day CRT programme on “ Motivation” in Medical College Auditorium on 08/08/2014 at 11 a.m.
MCA 2nd year students participated in Analytical Skill Training Programme organized by Training & Placement Cell, JBIET on 12/08/2014 at 09.30 a.m.
One student of MCA final year got selected for Microsoft Dynamics job oriented training programme on ERP package in December,2013. Three students of MCA final year got selected in AT & T Services for INTERNSHIP in October 2013. 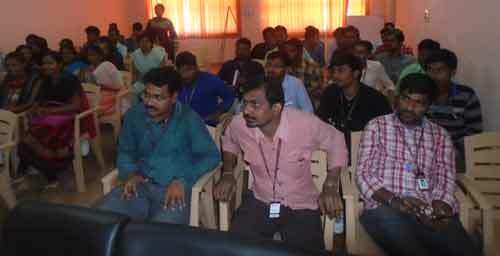 MCA 1st year Sem-II and 3rd year Sem-I students attended a one day workshop on Web Technology Trends & Opportunities on 18th July, 2013 in Seminar Hall organized by Department of IT, Joganpally B.R. Engineering College. MCA Final year students attended a one day seminar on Microsoft Technology on 17th July, 2013 in M.N.R Auditorium organized by J.B.I.E.T. Mr. Punna Krishna , MCA II year student awarded second prize in National level Technical Symposium INFOQUEST-2012 organized by “J.B. Institute of Engineering & Technology “ by presenting a Technical paper titled “ Palm Vain Technology” in MARCH 2012. MCA 1st year(Soumita Das), 2nd year (Mahesh) and 3rd year( Mallesh) students were the winners and MCA 1st year(Avinash), 2nd year (Sachin) and 3rd year(Poorna Chandu) students were the Runners in IT Quiz competition organized by MCA Department ,JBIET. MCA students have participated in various Technical events in 2 days Technical festival “ ABHYASA-2010” and have been awarded various prizes organized by AURORA POST GRADUATE COLLEGE(INFORMATION AND RESEARCH ACADEMY OF AURORA). 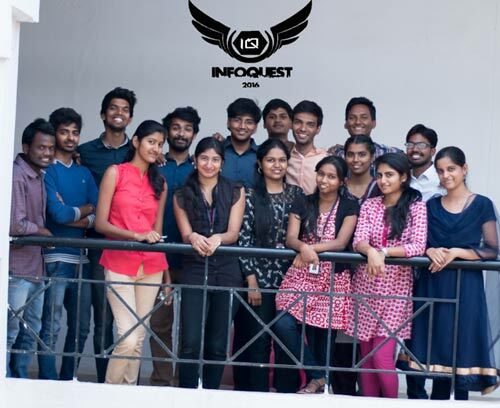 MCA 1st year students participated and presented a paper titled” BLUE EYE Technologies” in technical paper presentation contest organized by INFOQUEST 2010, JBIET. Two team comprises of three members from MCA 1st yr, 2nd yr and 3rd yr students won First and Second prizes in Technical Quiz “TECHEVOKE” organized on 03/11/2010 in MNR Auditorium by MCA Department JBIET. Awarded Cash prize and memento to MCA students - National level Technical Symposium in Vignana Pradarshan-2010 organized by “Hi-Tech College of Engineering & Technology “ for presenting a Technical paper Titled “ A Model Workflow in Business Process”. JBIET MCA students participated in ABACUS IT quiz-2010 and ABACUS IT Quiz 2009 at Bankatlal Badruka college, Kachiguda and won first prize consecutively for two years. Students of MCA department participated in Masters Combat ARENA-2009 organized by Vasavi college of Engineering, Ibrahimbag and won first prize . MCA students of JBIET won a first prize in "Technical Quiz" competition in Shruthi ’09 organized by "Chaithanya Bharathi Institute of Technology, 2009". MCA students won 1st and 2nd prizes in Technical Quiz organized by TechnoPIE in 2009 JBIET. JBIET MCA students awarded Cash prize and memento in National level Technical Symposium in Vignana Pradarshan-2010 organized by “Hi-Tech College of Engineering & Technology “ for presenting a Technical paper Titled "A model Workflow in Business Process". MCA final year students are participating in conducting Survey for Telangana State on 19/08/2014. MCA Final year student Mr.Krishna chaithanya published an article on “Security of Solid Networks” in SPOORTHI MAGAZINE ,JBIET,Mar,2013. MCA II year students published their article in SPOORTHI Magazine published by JBIET in March, 2012. 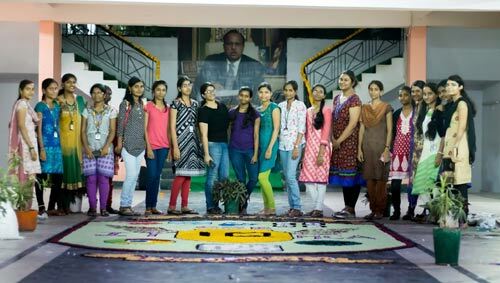 MCA students attended National Youth Festival on 10th January, 2012 in Math Premises organized by Vivekananda Institute of Human Excellence. MCA students won 2nd and 3rd prize in debate competition on the topic ”Terrorism and India’s Response” organized by Student Activity Center(SAC) , on oct,2011 in JBIET. MCA wing donated generously towards recent Cyclone Relief in Kurnool (AP). JBIET MCA students as volunteers for “AAPTHA MITHRA” Provide free blood donations for poor people. MCA students collect money from donors for “SIRIYA ORPHANS”.